Since today is National Love Your Pet Day, it seemed like a good time to remind you of this post. Admit it: If you have a pet, it's basically your child. I don't think people are ever crazy about pets until they actually get a pet. Oh, sure, your family may have pets when you're growing up, but until you have your own pet, you don't become that person. You know, the one who talks to their pet like a human, spoiling it like a child. I think that's just what happens when you have a pet and no children. So of course, pet parents want to incorporate their pet into their wedding day. 1. Take photos with your pet. This one is easy ... unless your pet is scared of people. Imagine your bridesmaids, your parents, and you getting ready on the morning of my wedding. 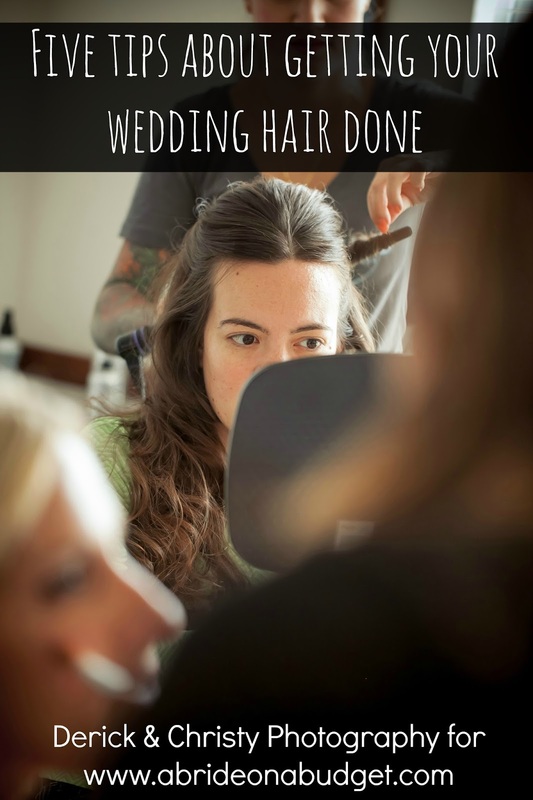 Consider them, plus hair and makeup technicians, a videographer, and photographers. Could your pet handle all that? If that's too much, especially if you have a cat, nix the idea. 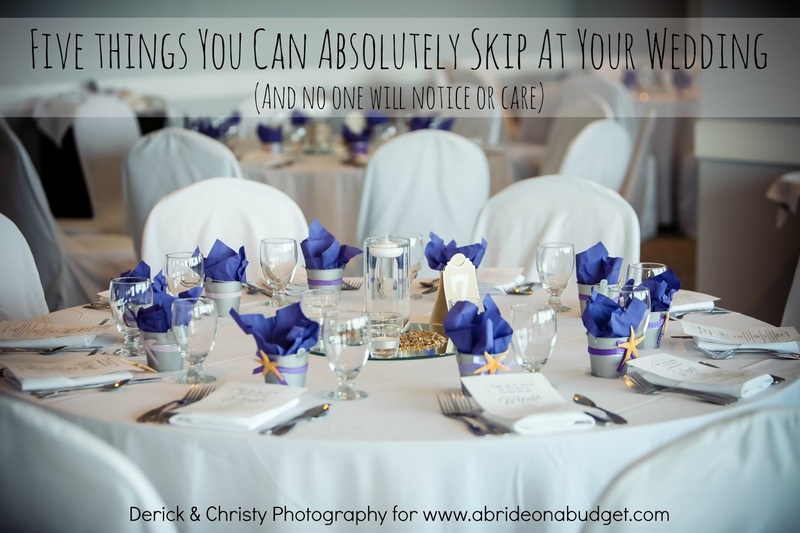 You don't want the cat to get spooked, jump with claws ready, and tear a hole in your wedding dress before you are even out the door. If your pet is calm, definitely pick up a pet bow tie and make sure he's ready for his close up. 2. Add your pet to your cake. I absolutely love when people hide a little something on their cake, like an Easter egg. So you could have a cake topper with you and your groom at the top, then hide your pet somewhere at the bottom. If you want your pet front and center, you're in luck. 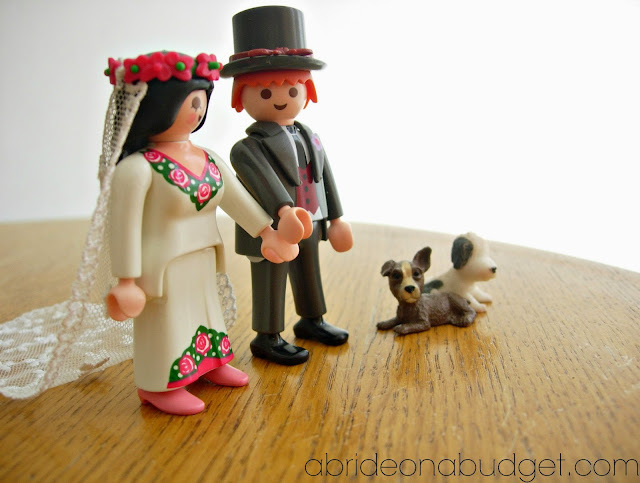 There are some really beautiful silhouette cake toppers that are perfect: there's a couple with a cat (who is being a curious cat) and a couple with a dog (who is being a very good dog). 3. Have you pet as the ring bearer. The priest told us that our ring bearer (who was a human) wasn't allowed to carry our actual rings down on a pillow. He could bring a pillow down, of course, but we were to tie fake rings to it. He said the chance of a young child dropping the pillow is high, which would mean the entire audience would cause a commotion looking for the rings. He also noted that trying to untie the rings while simultaneously trying to conduct the ceremony was not a task he wanted to undertake. So he said give the real rings to the best man, tie fake rings on the ring bearer's pillow, and that's that. So since your ring bearer can't carry real rings, you can definitely have your dog as your ring bearer. 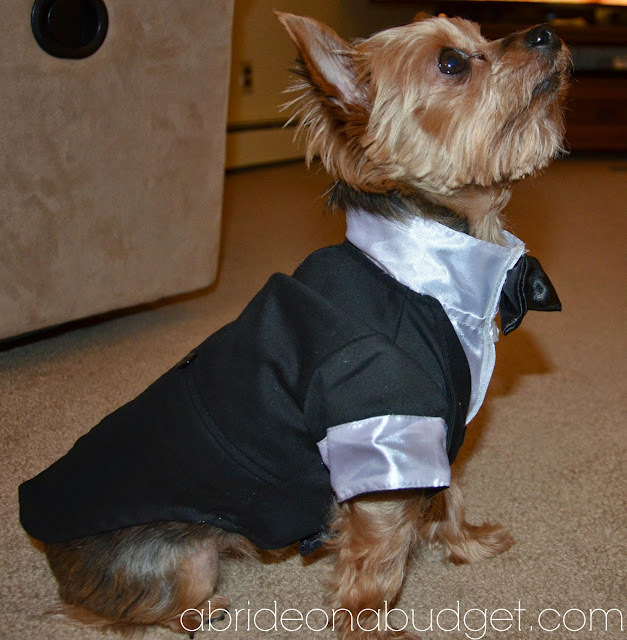 Tie fake rings around his neck and send your pup down the aisle. 4. Have your pet accompany the flower girl. Maybe you don't trust your dog on its own. Or maybe you have a turtle that you want to be a part of the ceremony, but it will take forever for him to get down the aisle. Entrust your flower girl to help him out. Put him on a flowered leash and tell her to walk him. It will be an adorable photo opp, plus it helps to guarantee that your pet will have supervision during the walk down the aisle. Don't, for any second, forget about your pet when you're planning. You have to account for everything. So, I put together a little checklist of questions to ask and take care of before your wedding day. 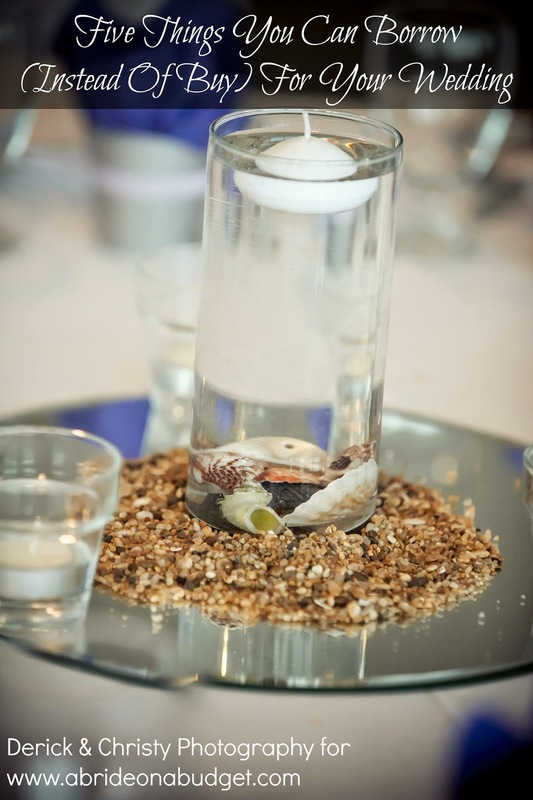 Is the venue (ceremony site and reception site) pet friendly? Do you have to pay extra to clean up after your pet? Is there anything there that the pet can destroy? And what if Fido chews through the couch? What is the pet wearing? Who is dressing it? Who is bring the pet to the reception? The ceremony? Who is packing food and water for the pet? Who is watching the pet during the ceremony? If the pet decides to run, who is chasing after it? If the pet goes to the bathroom, who is cleaning it up? How are you assuring no one table feeds the pet at the reception? If someone does and the pet gets sick, who takes care of it? Who is watching the pet during the reception? Who is bringing the pet home? Logistically, there's a lot to consider if you choose to incorporate your pet into your wedding day, but if you pet is like your child, you can't imagine leaving him or her at home. 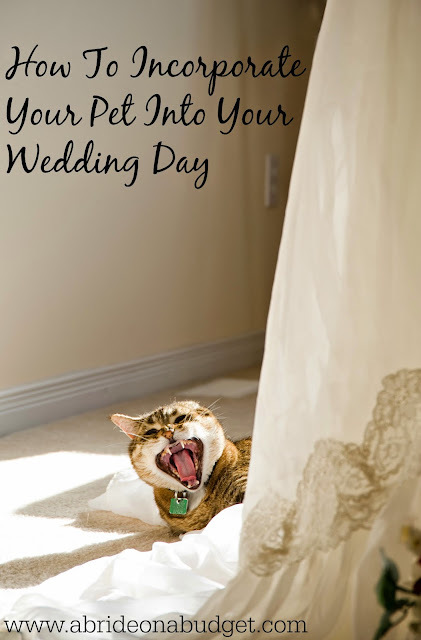 BRIDAL BABBLE: How would you incorporate your pet into your wedding day?